2009 album by singer, pianist, comedian, cover art, at the request of his many fans. 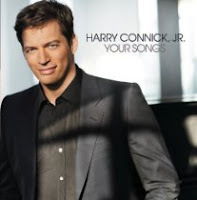 If you do the best seller in 2004, consisted of songs to sing familiar songs with string orchestra and jazz band Connick, and like almost every album, Harry, he wrote all his own orchestra. He also recruited two friends to stay in New Orleans, Wynton and Branford Marsalis and bluegrass guitarist Bryan Sutton for the show. 14 tracks including "Mona Lisa", Smile, how "fair" and more.